Prestige Pawnbrokers provides loans against your gold, jewellery, watches, cars, logbooks, art, antiques, fine wine, designer handbags, gemstones, collectables, cherished plates & other collectables. 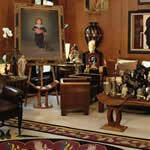 Disclaimer: The services offered below are bespoke and may depend on the asset presented to us. Bring your items to our premises and enjoy meeting one of our friendly, discreet, expert evaluators who will instantly value your item(s) and make you an offer. 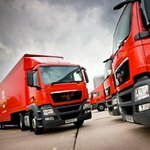 When posting your items to us they will be guaranteed and insured by the Royal Mail to arrive securely at our offices the next morning ready to be valued. Upon receipt, Prestige Pawnbrokers will immediately value them and then contact you to make you an offer. For large volume or high value items please call Prestige Pawnbrokers on: 0800 917 6894 to request one of our trusted experts to meet you in the comfort of your home and carry out a discreet valuation for your items. Call Prestige Pawnbrokers on: 0800 917 6894 and we will, should you request it, collect your car from anywhere in the UK. Upon collection, your car will be fully insured, secured and covered to keep it protected from any stone chips, road grime and salt. All transporter vehicles are fitted with an electric winch, enabling your car to be lifted into and out of the transporter with ease, even if your car has become immobile. 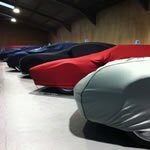 Upon receipt of your car it will be professionally stored in our fully dehumidified, secure storage facility. Prestige Pawnbrokers will store your car under dehumidified controlled conditions free of charge at our secure and fully insured facility. 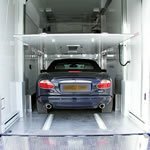 Our storage units are sealed from the elements and dehumidified to a target relative humidity of 55% ensuring that any rusting will cease without over drying any wood or leather in the vehicle. Pre-storage preparation: Hand wash, leather dry and under bonnet fluid level inspection and recorded. Battery connected to a conditioner. Vehicle rolled every 14 days to prevent tyre and bearing flat spots. Vehicle started every 60 days, placed on internal rolling road to lightly exercise engine, gearbox, bearings, clutch, brakes and all ancillaries such as electric windows and air conditioning. 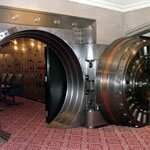 Your items are stored in Prestige Pawnbrokers’ high security vaults for the duration of the loan and are fully insured. Once the loan has been repaid, your items will be returned to you, unconditionally and free of charge. Receive an instant loan against your valuables today.